The AAA Carolinas Foundation for Traffic Safety has partnered with Charlotte Motor Speedway to put on its annual Speedway Christmas show, which officially opens on November 18. Speedway Christmas is a holiday light show extravaganza in which the public can drive on the 3.75 mile strip of racetrack under three million lights. This year, Mother Goose, Rapunzel and the Three Little Pigs will be on display with the “Storybook in Lights” theme. With the holiday driving season upon us, AAA Carolinas Foundation for Traffic Safety partnered with the popular seasonal event to raise awareness of the dangers of distracted driving. The Disconnect and Drive message will be visble to an estimated 33,000 driving through the exhibit this year. "Charlotte Motor Speedway's Speedway Christmas light show is a time-honored tradition, recognized throughout the Carolinas for family fun, much like how AAA Carolinas is known for keeping families safe," said Tiffany Wright, public relations manager for AAA Carolinas. 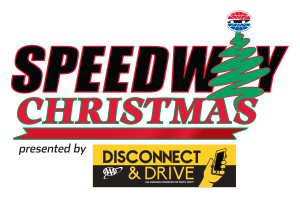 "We are thrilled to be partnering with Charlotte Motor Speedway on Speedway Christmas presented by Disconnect & Drive to encourage everyone to have a safe holiday season and to urge motorists to put down their cell phones while driving." With the partnership, on Tuesday nights, AAA Carolinas members receive $5 off a regularly priced ticket by showing their AAA membership card. Building on the fan-friendly holiday atmosphere, this year's Speedway Christmas presented by Disconnect & Drive – which runs until Dec. 31 but is closed on Christmas Day – will also feature an infield Christmas village with an all-new 50-foot Ferris wheel, Bethlehem village, children's games and photos with Santa. Additionally, fans can sit in their cars and cozy up to Movie Nights on the giant Speedway TV every Thursday-Sunday. 29- Dec. 2 "The Polar Express"
6-9 "National Lampoon's Christmas Vacation"
20 – 24 – "Frosty's Winter Wonderland, Mickey's Christmas Carol, The Grinch (1966)"
26 – 30 – "Home Alone"